Often it is said we must explore the past to understand the present and to shape the future. In this four-part series, we will reflect on how Santa Clara County’s transportation network evolved over the last 40 years through thoughtful planning, broad-based collaboration and solid investment. We hope this series will provide residents and the communities we serve with a deeper appreciation for where we have been, as well as a clearer vision for where we are headed. The late 80’s and early 90’s saw numerous technology advances, not the least of which was the birth of the World Wide Web. The proliferation of personal computers and growing use of the internet made connections with business, friends, and family fast and convenient. 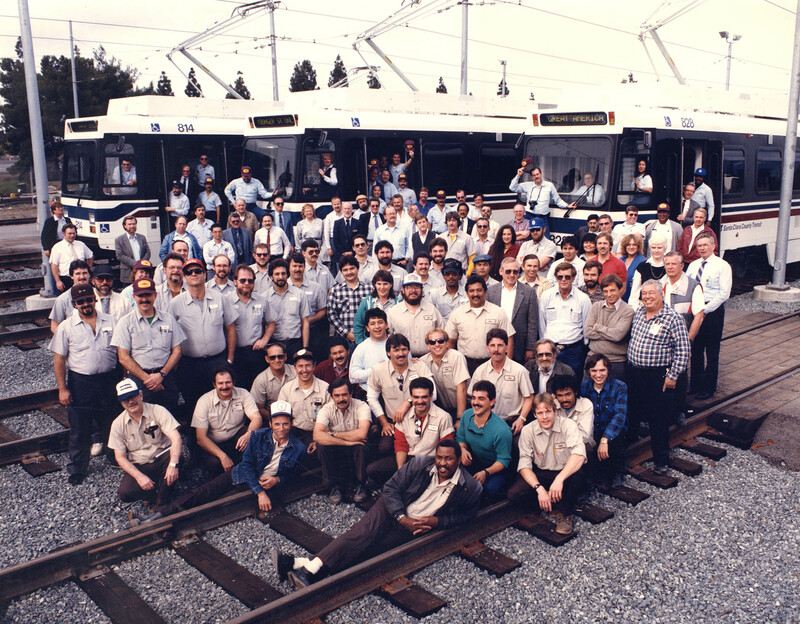 As Silicon Valley was busy connecting the world electronically, VTA was building the transportation infrastructure necessary to keep employees, equipment, and products moving. 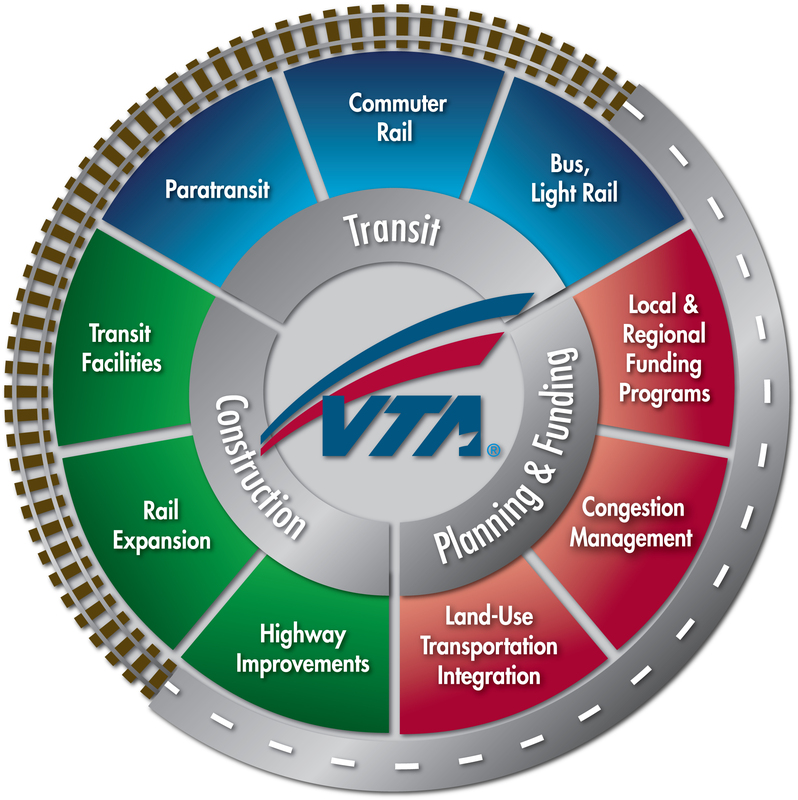 VTA was expanding its transportation network, building a mass transit system crisscrossing the growing urbanized area. By 1987, the County received over $253 million from the federal government to fund the County’s first light rail line. Construction officially commenced with the ground­breaking for the light rail maintenance facility, followed by construction of the first segment of in-street track. The initial track, which spanned 1.5 miles, was essential for testing the light rail vehicles as they were delivered. Additional tracks were installed north of downtown San Jose in December 1987. 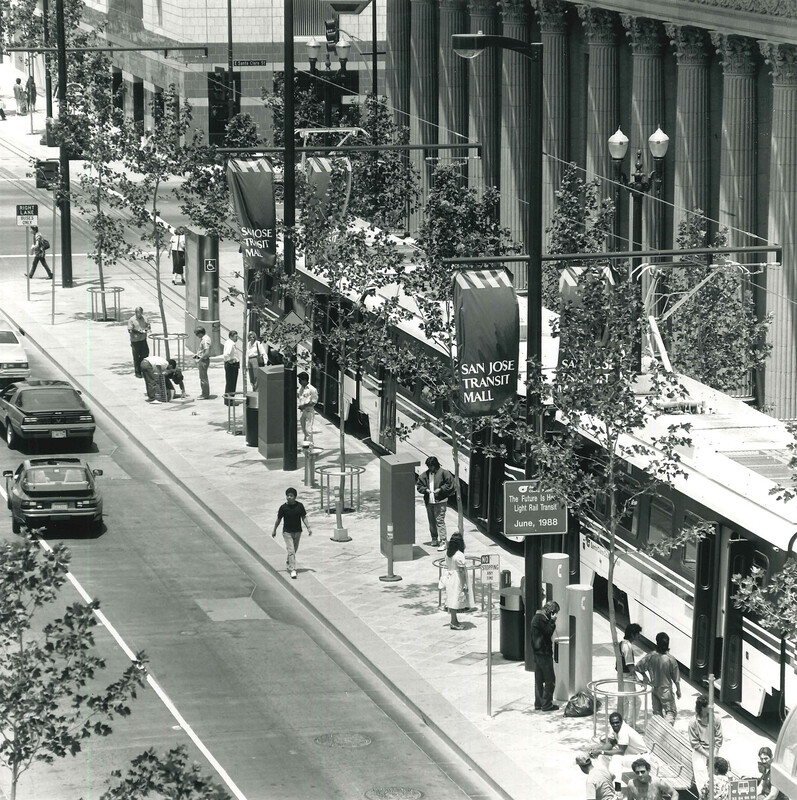 By June 1988, the two-mile stretch of tracks through revitalized downtown San Jose opened for service. 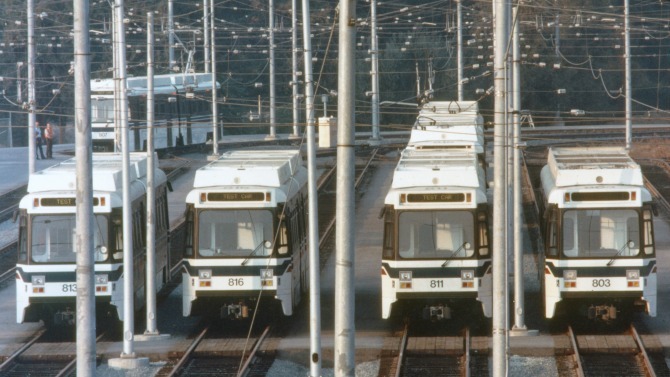 The entire 21- mile light rail line opened on April 21, 1991. The County now had its first completed light rail line, connecting the suburban neighborhoods of south San Jose through downtown, and north to the industrial areas of Silicon Valley. A significant change for County Transit occurred on January 1, 1995, when the organization was combined with the Congestion Management Agency (CMA), charged with the additional responsibility for planning and constructing highway, bike, and pedestrian infrastructure within the county. Consolidating responsibility for these planning and development efforts allows for greater coordination, as well as maximizes the efficiency and performance of the entire transportation network. The signing of a new joint powers agree­ment by the County of Santa Clara and the 15 cities in the county combined the Santa Clara County Transit District with the CMA. This action coincided with the effective date of new legislation, which reconstituted the Board of Directors, an event that has commonly been referred to as the “separation” of the Transit District from the County. With the creation of this new organization, the composition of the Board of Directors changed from five directors, all County Supervisors, to 12 directors consisting of: two County Supervisors, five City of San Jose council members, and five city council members selected from the remaining 14 cities in the County. The Board became responsible for setting policy on multi-modal, countywide transportation planning and the integration of transportation and land use planning as well as for transit operations. For the first time, this gave a single policy board the unique opportunity to make and implement transportation policy over all of Santa Clara County. The new Board made it possible to take a regional approach to transit and land use planning issues. Recognizing the change that occurred in 1995, the new name of “Santa Clara Valley Transportation Authority” (VTA) was adopted in January 1996 and in December of that year, a new corporate identity was created for the Santa Clara Valley Transportation Authority. The Highway Revenue Act of 1956 established the Highway Trust Fund to provide a dedicated source of revenues for transportation. The Highway Trust Fund is intended to be a “pay-as-you-go” system that uses receipts from excise taxes to fund federal surface transportation programs. In 1983, the Highway Trust Fund was divided into the Highway Account and the Mass Transit Account. Over the years, Congress has enacted multi-year legislation authorizing federal spending for surface transportation programs from the Trust Fund. Counties may place a sales tax measure for transportation purposes on the ballot for voter approval. With federal and state funding historically being insufficient to meet all of California’s mobility needs, local sales tax revenues have provided more than 50 percent of new capital funding for the state’s transportation infrastructure over the last several decades. Counties representing more than 85 percent of the state’s population currently have in place local sales taxes for transportation purposes. Most of these taxes are temporary in nature and will expire if they are not renewed by the voters. Currently, Santa Clara County has three local transportation sales taxes in place - one is permanent and two are temporary. The next decade, and the next part of our informational series, was defined by a period where VTA really hit its stride in delivering transportation improvements. Up next, 1996 to 2005. All aboard!